Say it ain’t so! The end of Miles Morales stint as the all new Ultimate Spider-Man? Could be, if this teaser for the upcoming Ultimate Comics Spider-man #23 is to be believed. What tragedy could drive him away from the mantle? Brian Michael Bendis is hoping that you’ll check out the issue to find out! What do you guys think of the image and Miles perhaps leaving the Spider-man mantle? 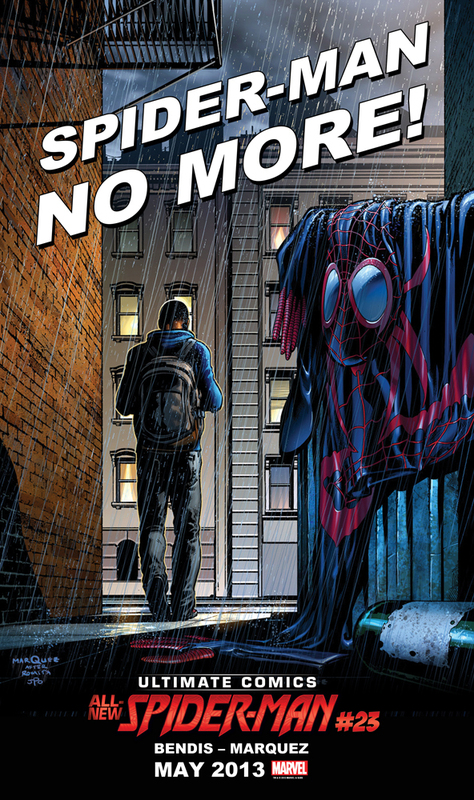 can about Miles Morales the Ultimate comics Spiderman! I love the new Spider-Man , I hope it’s not over before he ever really got going.